Branding your business in the very early stages of a startup should be one of your top priorities. However, branding can seem like an ancillary task that costs money but delivers no immediate value to a new business. In reality, the opposite is true. A business without a brand is like a person without a personality. A brand represents your promise to consumers, and the visual elements of your brand identity, such as your logo design, help people associate your products, services, and messages with that promise. 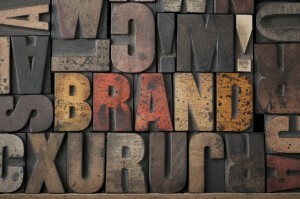 Branding your business doesn’t have to cost a fortune or take months and months to develop. There are many tools available online that can help you create and launch a brand in an affordable manner. Here are three things the entrepreneur should do right now to develop a brand that can help your business grow in the long-term. A brand identity includes tangible and intangible elements. Before you can develop your brand identity, you must understand your market, competitors, and target audience. Without this knowledge, you’ll have no way of knowing what your brand should promise to consumers and how to position it so it has a chance to occupy a unique place in consumers’ minds. Once you gather your research and data, you can define your brand’s promise and position, and then develop a brand identity that effectively communicates that promise and position. Your logo design, your color palette, the typefaces used in marketing materials, your website, ads, and so on, must consistently reflect that brand identity. Building brand awareness, recall, trial, and loyalty take time, but there is no doubt that brand value can play a significant role in the success of a business. Think of some of your favorite brands. What do those brands mean to you? Your marketing plan should include initiatives that help consumers develop similar emotional connections to your brand. Today, the social web offers a perfect place to build brand awareness and recall. By publishing useful and meaningful content and joining relevant conversations online, you can jump start brand development in a way that didn’t exist ten years ago. Social media marketing is extremely affordable and has few barriers to entry. With patience and persistence, you’ll be able to create an online buzz about your brand that leads to purchases and word-of-mouth marketing. Visit the U.S. Patent & Trademark Office website (USPTO.gov) and trademark your brand name and logo to protect it. You don’t want to invest time and money into building your brand and business only to have another company trademark the same name and demand that you stop using it. Similarly, secure your brand name in a website URL, Twitter profile, Facebook Page, LinkedIn Company Page, Pinterest profile, YouTube Channel, and any other social media site where you might publish content in the future. It only takes a few minutes, but the long-term return on those few minutes could amount to so much more. All of these tips can realistically be accomplished within a couple of months and for well under $1,000 (for marketing- and web-savvy entrepreneurs, it can be done in a couple of weeks for less than $500). Of course, brand-building is an ongoing process that doesn’t end after you trademark your brand name and create a logo. Consumers are fickle, which means your brand needs to stay top-of-mind and continually meet or exceed their expectations or they’ll turn away from it in search of another brand. As you learned in #2 above, the social web offers a great place to set consumer expectations for your brand and persistently engage with consumers and sustain relationships with them. That’s what leads to brand advocacy, and that’s where the value of branding moves from an intangible business asset to a powerful form of brand equity. Guest Contributor: LogoGarden.com founder and President John Williams, a leading logo design expert, literally wrote the book on brand standards for companies like Hewlett-Packard and Mitsubishi. His blogs have been published on sites including MSMBC, Microsoft.com, Yahoo Small Business and Kauffman Foundation’s entrepreneurship.org.